Creating a Chia Herb Garden is easy for an indoor gardener. With a little attention, herbs or chia seeds, and a "pet," you'll have herbs sprouting in a couple of days. 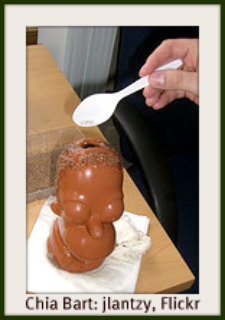 Lots of indoor gardeners collect Chia Pets®, which are animal- (or people-) shaped terracotta sprouting vessels. Originally, they came from Mexico but were adapted in the 1980s by Joseph Enterprises, Inc., a California-based company. Now you can find the sprouters in shapes from donkeys and gators to cartoon characters and U.S. Presidents. As the seeds sprout, the planters grow hair or fur, making them quite decorative and a lot of fun for both children and adults. Once you've chosen your pet, the next step in putting your herb garden together is to choose your seeds. Many varieties are available in anything from small packets to bulk orders. ...all in each tiny seed! Tarahumara distance runners are known to go a full day on a small handful. They're gluten-free and studies have shown them to be good for diabetics. You can also sprout other seeds, the mucilaginous varieties best for sticking to the terracotta. Be careful of alfalfa and clover sprouts, though. 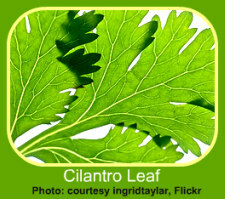 Click here to read the 2009 FDA-issued warning about these seeds containing e-coli and salmonella. If you do sprout these, it's recommended that you cook them. With just a few quick steps, any indoor gardener can succeed at growing sprouts. Your Chia Herb Garden isn't just for you, either! If you have a cat (or dog or rabbit), she/he will adore you even more if you plant something special for your pet. 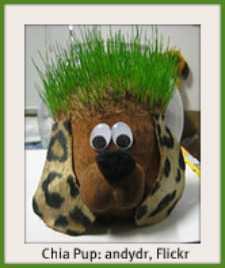 Read more about Chia cat grass here. Do you have a Chia Herb Garden? Have you ever tried to grow one? What kinds of seeds do you use? What kind of sprouter? Share your story with other visitors here. Enter the title for your favorite Chia Herb Garden story here. Your story will appear on a Web page after going through a quick edit. Your story and meaning won't be changed at all, but spelling and grammar might be gently corrected. Do you have some pictures of your Chia Herb Garden? Great! Click the button and find the first one on your computer. Select it and click on the button to choose it.